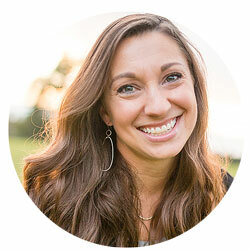 Wendy recently posted a blog entitled “Equipping Women for Gospel-Centered Lives” in which she examines the noticeably different messages imparted to women at various stages in their lives. While our teaching of women’s discipleship often focuses on the struggles of particular life stages, Wendy highlights a pitfall in this method. By subdividing women’s ministry by life circumstances (ie. books and conferences for singles, marrieds, women struggling with infertility, homeschooling moms, etc.) one runs the risk of emphasizing our differences rather than our unity in Christ. This is why, for instance, many single women feel so greatly divided from their married counter-parts. It’s not that books for women on marriage and parenting are bad things. They’re not. But these resources represent the majority of books available to women. What is missing are solid books focusing on the most basic foundation of of the female identity–Christ–and the ultimate source of women’s struggles–sin. That is the big picture. The smaller picture, the details of how that theology plays out, can be found in books on marriage and singleness. “May I speak for a moment to those leading women’s ministries and organizing women’s teaching events? If your message doesn’t resonate as well with the single woman watching her biological clock ticking away without a date in 8 years as the wife and mom who homeschools her children, you have missed the fullness of the message of the gospel. You may have communicated some out of context Scripture on women’s roles in the church and home, but you missed the gospel that equips us to bridge the gap between God’s good plan and the depraved world in which we live. That’s a bold statement, I know, but hear me out. We need to teach on marriage and family in a way that ministers grace to the single, widow, or infertile woman. We need to teach on submission and church authority structures in a way that equips women abused by the very leadership to which they were called to submit, to boldly live out their giftings as co-heirs with Jesus Christ. We need to teach on motherhood in a manner that sets not it as the highest good but our conformity to Christ through its trials and our failures in it. As I said, it’s not that teachings on submission, Proverbs 31 or women’s roles are wrong–not in and of themselves. The problem arises when we take those good things and made them into God things. Women’s ministry can be guilty of focusing on these issues in a way that supplants the Gospel. Some teachers and authors have so thoroughly equated Christian womanhood with marriage and motherhood that we not only exclude singles and widows in the process, but misconstrue the very heart of Christian discipleship. The identity of a Christian woman is not to be found in her role as wife or mother. It is to be found in Christ alone. Any teaching that implies otherwise is a form of idolatry that we must be cautious to avoid. Wendy’s challenge to preach a Gospel that resounds just as powerfully with a woman struggling with infertility as it does with the homeschooling mom of seven is certainly one I hope to live up to. Couldn’t agree more – tell me who I am in Christ and how to deepen that relationship. Seek you first the kingdom of God and all these other things will be added. True, true, true! This is insightful and invigorating!